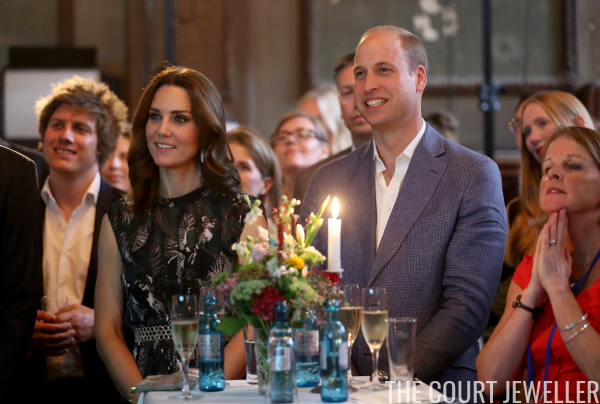 The Duke and Duchess of Cambridge were back in Berlin on Thursday evening for a reception at Claerchen's Ballhaus dance hall. 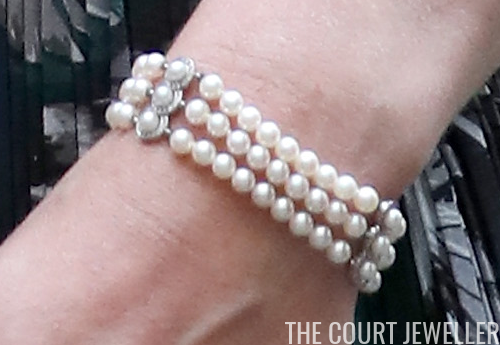 Kate also gave us another jewelry surprise: she wore a three-stranded pearl bracelet that appears to be one worn by Diana, Princess of Wales. 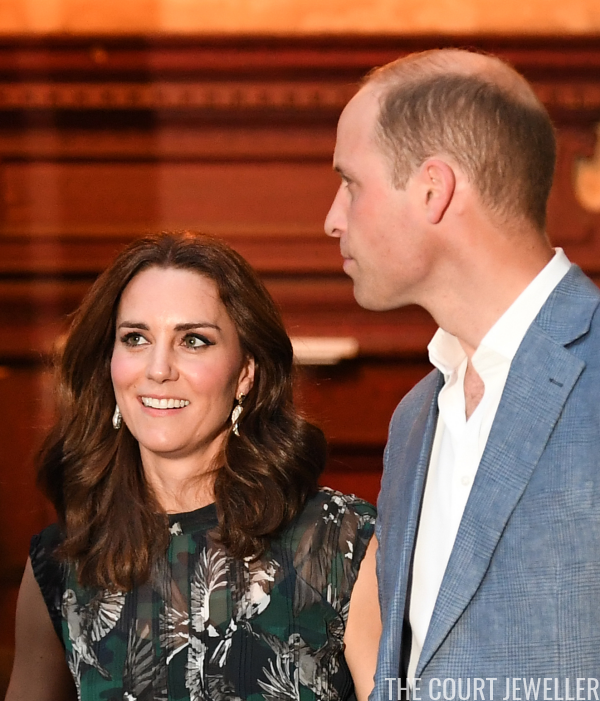 Here's a look at Diana wearing the bracelet, which shares the distinctive spacer sections with Kate's bracelet tonight. Here's a look at Kate's entire outfit.